Before I start rambling, I need to remind you of something. 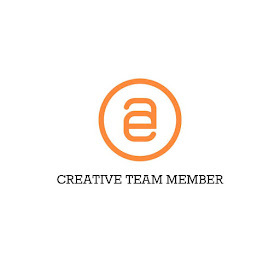 Please don't forget to use your $2 off any one Add-On. Mass Transit is my favorite. And get several packs of those SC Patterned Paper - if you haven't already. This December, Studio Calico is collaborating with Sassafrass Lass! Two fabulous manufacturer! The colors are so yummy! Lemme tell you something, those photos are fresh! Super duper fresh! LOL. I took them as we landed back in Singapore, 4 hours later, they're already on the layout. I am so proud of myself. And more so in love with Hipstamatic and my iPhone. I have about 40 more photos of clouds/ view from above, taken from the airplane on that day itself. 40 and I love every single one of them. 40 is not so bad! But I love coming home more. I am. Content. Right now. I like this 'state' of happiness. I like my life now, I like me, now. :) *knocking on wood* LOL. The photo was taken with the photobooth software on the iMac, when i get home from my haircut, and I wanna use that because there is no way I'll get that hair again, unless i go for a wash and blow at the salon. Our very own rockstar. Nidhi :) She *without any nudging from her daddy or me* entered herself in a talent contest during the 80th birthday of her school. She practised hard, dancing to Lady Gaga everyday. *grins* Mommy had a grand time curling her hair and putting on her make-ups! LOL. 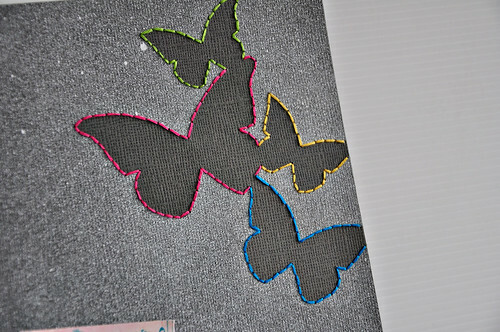 Close up of the stitched butterflies. I think I'm gonna cross-stitch again *I still have loads of stash related to cross-stitching anyway!*. Kinda miss it. 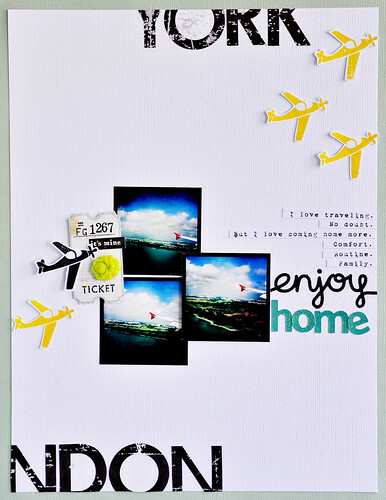 Jenni Bowlin Ink - Lemon Drops for the yellow airplanes (layout 1). My type of yellow - the color makes me happy! Next in my list -> Cough Syrup! That red is just gorgeous! Raspberry Pink Maya Mist (layout 2) - the piece of paper underneath my photo. Mister Huey Calico White. This stuff is magic! Loads of foam tabs to create dimension. on sale - 50% off! If you're thinking, I seriously think this is the best time to get it. And if you need another reason - well, it's pink. I'm shallow like that. Time to refill my coffee tumbler and get hopping! See you soon!! Ooh! love your layouts and that photo of yours, Sasha! And those misted and stitched butterflies. Drool! oooh love the stitched butterflies! and the super duper new photos of landing back to spore sooo cool! beautiful, sasha! love the misted + stitched butterflies. gorgeous! *searching for the LIKE button ...* no wait... make that double like!!! :) love every lil bit of your style! YOu are my fresh princess of bel air! LOL!! 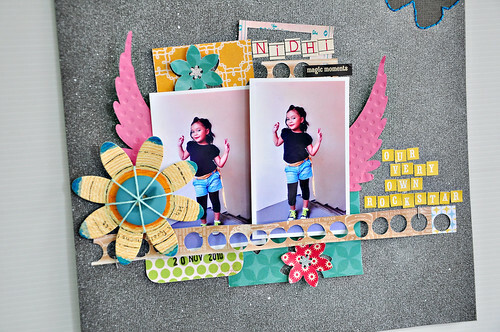 Those layouts are so refreshing and I really diggin' the details girl!! You one wicked scrapper :) PERIOD! Gorgeous Sasha! I adore the rock star layout and story - she is such a cutie! Gorgeous pages! Your use of mist never ceases to amaze me! You GO GIRL--getting those pics on a LO 4 hours after getting home!! Great LO! LOVE the butterflies! I love each layout on here. And I wish people would stop showing off their iPHONES! LOL. The photo apps alone make me WANT ONE SO BAD! hahaha. girl, you rock. your gallery this month is a-ma-zing. 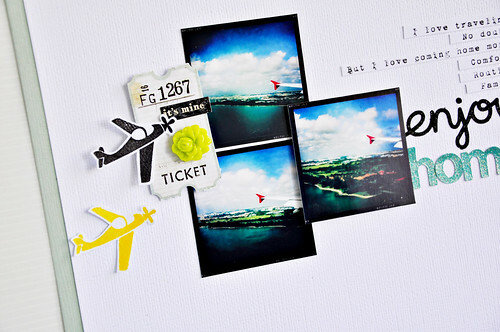 I think these layouts are by far your best-I love them!! Are you strong enough you ask me?.....Of course you are! say YES. so love your gallery!!! :) mass transit is awesome isn't it?! xo have a great week!! girl, you are just fantastic! 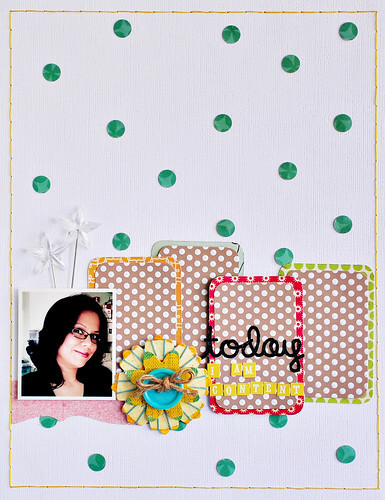 love all the layouts, but those stitched butterflies with the color floss are amazing! ohhh wow the butterflie layout is just wow!!!!!!!!!!!!!!!! You are a creative genious girl! Wow such amazing creations as usual! I really love the black one! OMG what a sewing work! 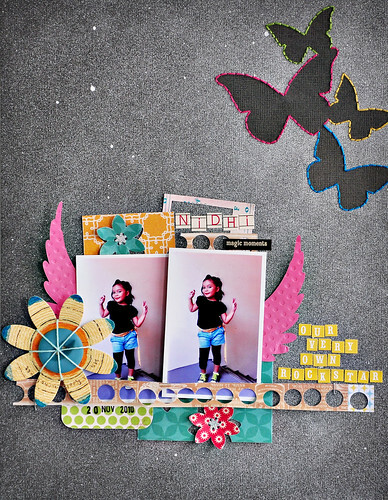 LOVE, LOVE, LOVE your layouts!!!amazing!BRAVO!!! it's so nice !!!! I love it !!!! 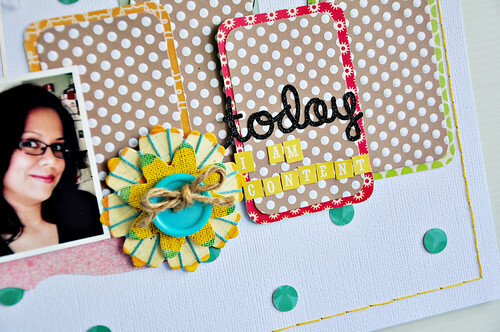 i love love love your scrapping style! i look forward to stopping by again! Oh, how I love your layouts! Every single one is amazing! OMG thats such an awesome layout Sasha!